Like many runners, I started running with the initial goal of losing some weight that I'd picked up as a result of a sedentary lifestyle after college/law school. Within about six months of running mixed with some cross-training and weight lifting, I'd gotten rid of about 25 pounds and was back to being as lean as I was in law school (when I played Ultimate about 6-8 hours a week). Soon after, I turned my attention toward more performance-oriented goals, especially once I got a taste of running local 5K races. That's when I got thinking about a question that Runner's World (sort of) answers in one of its online columns this month: "Is there an ideal running weight?" It's commonly said that every pound lost makes you 2 seconds faster per mile. (See here, here, here, and here.) That might not seem like much, but a 5K race is 3.1 miles, so every pound lost would supposedly make you 6 seconds faster in such a race. If you were to lose 5 pounds, that would be 30 seconds (well, technically 31 seconds), which is not insignificant in such a short race. The pressure of sports performance and competition involved with long distance running can be a breeding ground for eating disorders. If other factors are involved, such as social pressures or low body image/self-esteem, the risk for developing an eating disorder can be increased. Obviously, it can't be indefinitely true that every additional pound lost will make you 2 seconds/mile faster, because you aren't going to be infinitely fast at 0 pounds. (You're going to be dead!) 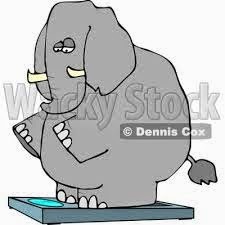 Even well before that absolute limit, there will come a point where additional pounds lost are coming from muscle/skeletal mass, not fat, so we wouldn't expect the conventional wisdom to be true on a linear scale. As long as you enjoy the journey from the start to the finish, body type does not seem to make much difference. However, when you add speed into the mix, lighter is probably better if lighter means reducing total fat mass; it does not apply if “lighter” means reducing lean body mass or cutting into essential body energy stores. If you really want to maximize your performance-to-weight ratio, I guess you'd need to experiment a bit to find the perfect point at which any additional weight loss will be coming from lean body mass. I'm guessing that if I really worked at it, including cleaning up my lunch diet, I could probably target a few more pounds of fat - after all, Galen Rupp is an inch taller than I am and several pounds lighter - but then again, I'm far from an elite runner, and in the real world, I'm already pretty lean these days. That means dropping my 5K time is going to have to come from improved performance, not weight loss. Preview trailer of FX's vampire miniseries "The Strain"
Having gotten rid of cable, though, I guess I'll have to wait for this to stream on Amazon Prime. You might or might not need a sports recovery drink. Obesity expert Yoni Freedhoff calls them a contender for "nutritional scam of the century." Other sites say that water, chocolate milk, coconut water, or sports drinks help recovery after workouts lasting an hour or more. But what if you want something more than water, but more natural than chocolate milk (too much added sugar) or sports drinks? You could be like the guys in this news story who swear by human breast milk as a post-workout recovery drink. I'll admit that I'm not the most adventurous person when it comes to eating/drinking, so not surprisingly, this is not a trend(?) that I'm going to jump on. I can't say exactly why, because if you think about it, drinking milk from another mammal (say, a cow) is kind of a weird concept; it's not immediately clear that drinking human milk, which many of us did when we were babies, should be so offputting to me, but it is. However, if it's something you'd like to try, the news story at the link provides some examples. This might be scary, but if you go to this website and start typing in TV shows, it'll calculate the total amount of time you've spent watching. You can keep adding shows to get an updated total of the number of days/hours/minutes. As I started entering "Star Trek," "Star Trek: The Next Generation," etc., the number at the top got staggeringly large, so I decided to start over and input only shows that I watched over the past year. That got the number down to a more comprehensible 18 days, 12 hours, 16 minutes, which is still kind of stunning. Of course, the website counts each episode of an hour-long show as 60 minutes (not sure where that 16 minutes came from), whereas I rarely watch anything live, tending to run most things through TiVo so I can skip commercials, or streaming shows on my Kindle Fire or RoKu where again there aren't any commercials. Plus, 5 days and 20 hours of my total were spent on "The Shield" and "Justified," both of which I watched exclusively via Amazon Prime and mostly while running on the treadmill in the winter, so I don't think that time was "wasted" in any sense of the word. Rain, rain, make up your mind! Today was one of those annoying days when the local weather just couldn't make up its mind about what it wanted to do. The weather.com forecast called for rain starting around noon, so I figured I should've been able to get my long run (~90-100 minutes) in even though I couldn't start until 10 a.m. due to volunteering in my kid's elementary school class. Within ten minutes, it was misting. Well, a little mist was nothing to worry about. Practically two-thirds of the year here in the Pacific Northwest is misty. Besides, while some of the sky looked ominously dark, other parts still had blue patches poking through the clouds. I did fish out my ziplock bag and stuck my smartphone inside, just in case. 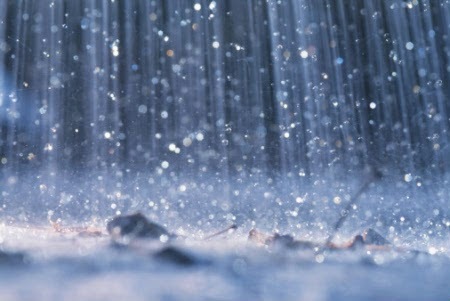 Instead of abating, however, the rain came down more steadily. I've run races in the rain, but I don't necessarily find anything exhilarating about it, especially when there are alternatives. So I headed home and finished that outside run at 3.57 miles. I grabbed my car keys and my Kindle Fire and drove over to the gym. Anyway, after 30 minutes and 3.5 miles, it seemed like it was clearing up outside. I paused "The Wire" and got ready to leave the gym and finish the last 3 miles of the day outside. Which of course is when it started to run again. "24: Live Another Day" continues to speed along with sharp, laser-like focus. No ridiculous "Kim Bauer stalked by a mountain lion" or "Dana Walsh's psycho ex-boyfriend blackmails her into using CTU to help him rob the police evidence lock-up" subplots that existed just to chew up time. It's all storylines that tie into the overarching plot, which Fox has cleverly taken to nicknaming "Game of Drones." It's been five days since I cut the cord on cable, but I got something of a reprieve when we spent the weekend on a quick Memorial Day Weekend to the coast, and our rental unit had a basic cable package. Now, it's not like I was parked in front of the TV the entire time; we were at the Northwest coast, after all. Moreover, I'd spent too much time sitting that first day, so I had to get out in the evening for a run along the beach. So, all in all, I'm not really missing cable. The quite funny and very down-to-earth Lauren Fleshman has a column in this month's Runner's World about why the 5K is an "awesome" race. (Unfortunately, it doesn't appear to be available online.) Among other things, it doesn't involve soul-draining 3 1/2 hour long runs on the weekends, and you're able to walk normally the next day. But the story starts with an anecdote that illustrates a common perception that the marathon is the pinnacle running event, while the 5K is for beginners. Fleshman recounts a flight she took where she started chatting with the guy sitting next to her, who she'd deduced was a runner based on the shoes he was wearing. Impressed by her extensive knowledge of running, he asked her if she also ran marathons, to which she replied that she had once but ran mostly 5Ks. The guy's response was, "Keep trying, you'll get there." Fleshman is a pro runner with a 5K PR of 14:58. (Her marathon PR is 2:37.) Wherever there is, she's gone WAY past it already. Anyway, she writes about how she wanted to discuss how hard it was in a recent international competition when everyone started out at a 4:50 pace in the first mile . . . but was too tired to make the case and had to deal with a mess her baby had just made. Or it could be that she was too nice to say anything like that. As I read the column, I found myself wondering, apart from my lack of desire to run a marathon, whether I would've fallen into some kind of equivalent mistake as Fleshman's seatmate did - which is to say, to assume some greater degree of athletic accomplishment when actually sitting next to a pro runner (or even just an elite one). I'm pretty sure that my conversation would have diverged at the point where she said she ran mostly 5Ks, whereupon I would've asked, "What's your PR?" 14:58 would've definitely let me know that I was sitting next to a running goddess, not some novice runner. So, yeah, don't go assuming that a 5K runner needs to keep trying to "get there." UPDATE (5/30): The article by Fleshman is available online now. For some reason, I didn't notice FX's "Justified" when it premiered back in 2010, which is strange because it's based on a short story and novels by Elmore Leonard, and for a while, I read pretty much every Leonard novel as soon as it was published. But anyway, it wasn't until I got my Kindle Fire and started checking out various serialized action/dramas for treadmill entertainment that I discovered it. I watched the pilot and was immediately hooked (although I did end up making a detour for another FX series, "The Shield"). Suffice to say that "Justified" has provided plenty of treadmill entertainment/distraction the past few months. The premise of "Justified" is that Deputy U.S. Marshal Raylan Givens, played perfectly by Timothy Olyphant, grew up in the coal-mining environs of Harlan, Kentucky but left and at the beginning of the series is based in Miami. He tracks down a mobster and gives the mobster 24 hours to get out of town, and when 23 hours and 50 or so minutes have elapsed, Givens shows up on the penthouse balcony to confront the man. Naturally, the mobster tries to shoot Givens secretly, but we learn that Givens is a very fast draw. When Givens' boss criticizes him about the shooting ("You know we haven't shot anyone on sight in about a hundred years, right? "), Givens' drawls in response, "He drew first, so I was justified." Behind the scenes of NBC's "American Ninja Warrior"
I think it would be kind of fun to try the "American Ninja Warrior" course, but I have no illusions about how I'd fare. The contestants who get the farthest are pretty much are parkour experts, rock climbers, or former gymnasts. "Orphan Black" has a science consultant named . . . Cosima! BBC America's "Orphan Black," which is one of the few TV shows that I'm not going to be able watch live (or near live) after having cut the cord to cable TV, has a science consultant to help with questions about life sciences and cloning and the like. And her name is Cosima! I guess we know where the writers/producers got the idea for graduate student clone Cosima in the show. * another plot point in the future time period was going to involve having to steal the Enterprise D from its resting place as a museum (an idea that Moore noted was used in his "Battlestar Galactica" reboot). Also interesting was that they were willing to state publicly that they thought "All Good Things" (the series finale) was better than Star Trek: Generations (aka Star Trek 7). I actually think Generations is kind of underrated, and it's quite fitting that it continues the trend of, whenever Picard turns the Enterprise over to Riker, it gets somehow messed up - totaled, in this case. 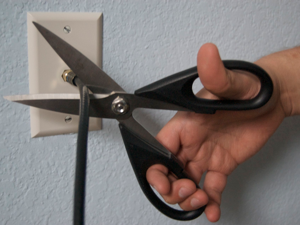 Good-bye, Comcast (cable): cutting the cord! After 25 minutes on the phone with Comcast/Xfinity this afternoon, I went ahead and "cut the cable." (I'm not free of Comcast, since it's apparently the only Internet provider in my neighborhood.) This should shave $70/month off the bill. It took some amount of effort to overcome the inertia involved, but the amount that cable TV was costing was becoming fairly ridiculous -- $50+ for the cable feed, $20 for equipment rentals, and some taxes on top of that. (1) Would I be able to find all of the TV shows I watch via some kind of cheap streaming service? (2) Would I have to abandon my beloved TiVo? (3) What would I do to get local TV news? (4) What about live sports? Thoughts on the finale of CBS's "Survivor: Cagayan"
Billed as "brains versus brawn versus beauty," the 28th(!) edition of CBS's "Survivor" ended a terrific season last night with its usual 3 hour finale + reunion show. The final four were lawyer Kass (brains), econ student Spencer (brains), cop Tony (brawn), and martial arts instructor Woo (brawn). Well, Michelle Dessler was pretty tough and resourceful. Moreover, I don't think it's fair to say that her love for Tony Almeida swayed her from making the correct decisions. In season 3, when Almeida was in charge of CTU, he cooperated with terrorist Stephen Saunders because Saunders had captured Dessler and was threatening to kill her. In season 4, when the situation was reversed, Dessler did not cooperate with Mandy the terrorist even though she had captured Almeida. Signs of maturity, or is "I Wanna Marry Harry" a boring "Joe Millionaire"? A long ago (say 11 years), Fox aired a deviously clever reality TV parody named "Joe Millionaire." In this send-up of ABC's "The Bachelor," a group of female contestants thought they were competing for the affection of a millionaire, but in fact, he was a part-time construction worker (and part-time model, though that wasn't disclosed to viewers) with an annual income below the poverty line. The allure of the show - for viewers, that was - was to see how the women (whom the show presumably invited you to stereotype as gold-diggers) would act and react. Now, maybe I should be embarrassed to admit this, but I watched all of "Joe Millionaire" and enjoyed it immensely. (Judging from the ratings it garnered, I wasn't alone!) It's not so much that I wanted to see people being humiliated - well, perhaps in the beginning.... What kept me tuning in was the oddly effective combination of Evan Marriott (the "Joe Millionaire") and Paul Hogan, who played the "butler" of the mansion. Hogan had a dry, wicked sense of humor that revealed how aware he was of the ridiculousness of the show's premise. Marriott was actually quite charming when he was breaking the fourth wall or being tutored by Hogan on the finer points of hoity-toity manners. In the end, Marriott picked the one woman who seemed most genuine and decent (I say "seemed" because, as with most reality TV shows, editing can make a difference, at least on the margins). It's a tech shirt with a transparent pocket for holding racing bibs, thus avoiding the need to poke safety pins through whatever other racing shirt you'd wear. One downside is that you won't be wearing the shirt provided by the race organizers (if there is a race shirt) - but that's not really an issue for me because I don't like to wear race shirts at the race itself. It's not exactly a superstition, just more of a tradition. Now, not having to mess with safety pins on cold mornings is a definite plus - and those late November to early March races can get chilly in the Pacific Northwest. Of course, this is a short sleeve tech shirt, but it can just over a baselayer longsleeve. Anyway, this may be something of a luxury purchase (assuming it gets sufficient backing; it's only 1/3 of the way there) but it's also a pretty neat idea. 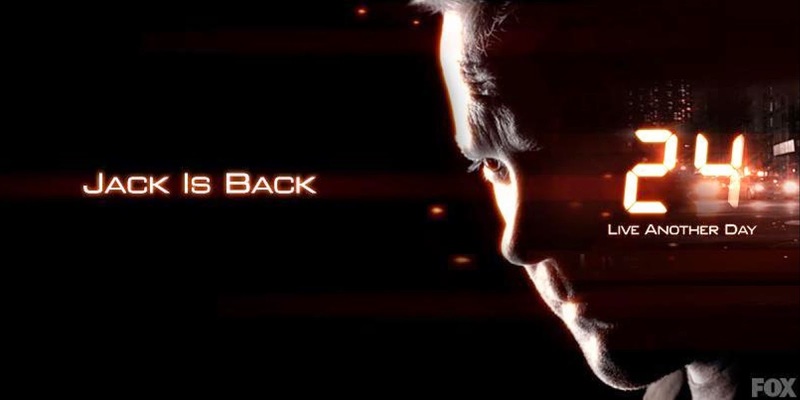 Can you believe "24: Live Another Day" is already one-third over? Under the 24-episode format, eight hours would've gone by, and typically Jack Bauer seemingly would have stopped the terror threat, only to discover that it was just a diversion from an even more catastrophic attack in the works. Is that formula still in play? Surprise: long runs sure take a l-o-n-g time! My long runs have generally been 10 or so miles, but the past month and a half or so, I've been extending them a bit, sometimes to close to a half marathon distance. I've also been working on going deliberately slowly, as I've run myself into a plateau in the past when I've run all of my runs at a similar pace. Not surprisingly, the combination of going for a longer distance and going slowly adds up to taking a long time to finish these long runs. Today's run was 12.14 miles and took just under two hours (1:57:12, to be exact), with a total elevation gain of 1534 feet. Now, on a treadmill without the hills in my neighborhood, I'd probably have run at more of an 8:35 pace, but even that would've taken me more than an hour and 45 minutes to finish 12 miles. Endurance-wise I feel pretty confident that I could've gone at least another three miles, but as awesome as running is, that's really getting to be a ridiculously large part of the day. Season 3 of NBC's fantasy/thriller "Grimm" is in the books, and it ends with a doozy of a cliffhanger. I've got thoughts on the episode and about how the cliffhanger will be resolved next season. Apparently I have trouble tying shoelace knots, because on more than one occasion, I've had my shoelaces come undone during a road race. As you can imagine, it's pretty annoying, because the choice is either to lose momentum -- and a bit of time -- by stopping to re-tie said shoelace, or to run the rest of the race with laces flopping about with every step. Click-Tight is the solution for people like me. The Kickstarter project is already fully funded but doesn't close for another day (well, less than a full day). Check it out. There were plenty of running races in town this weekend, including a big half marathon. I'd strongly considered running the 10K race that was part of the half marathon, but Mr. Mom duties kept me from doing so. In the early afternoon, it alternately poured rain or streamed sunshine through the clouds. Then it was time to go to the airport to pick my wife up, and when we got home, I had a small window of time to go running before dinner. Yea! The gym that I belong to has a lot of good things, but the hours of operation are not one of those. Sunday hours are noon to 6 p.m. Still, I knew I could get in a 3-4 mile run before closing. Five miles would've been ideal, since I could watch an entire episode of "Justified" in that distance, but my window wasn't that long. On the other hand, the skies looked like they were clearing. Sort of. Running outside would also save me about 10 minutes of round-trip transit time (driving up the hill to the gym, parking, walking in, and the reverse). I started with a comfortable but fast pace, basically between 7:30 to 8:00 depending on the slope of the hills. (I live in a hilly part of town, so unless I run on the track, it's impossible to have a flat run; hence, even pacing is also near impossible, and instead, it's more of even effort.) The early part of the out-and-back route was what I'd call rolling hills. At the 1.15 mile mark, I began the sharpest downslope, a drop of almost 200 feet in altitude over about 2/3 of a mile. You want to know what running downhill does for your speed? That 2/3 of a mile was entirely sub-7:00, with parts registering (per RunKeeper) as fast as sub-6:20, which is faster than my current 5K pace, but it wasn't more than a 3 on a 1-5 effort scale. Of course, just before 2 miles, the bill came due for that downhill section, as I had to head back up the same hill. Apart from one tough segment where I slowed to a near 9:00 pace, I managed to keep my pace under 8:00 even while ascending. I got home and figured I had maybe 10 more minutes of workout time (factoring in showering time, etc.) before dinner, and I considered tacking on an easy mile or so. But laziness won out, and I headed inside. I had just enough time to take off my running shoes and get a big glass of ice water before it started to pour outside. Not the usual kind of misty drizzle we get in the Pacific Northwest eight months of the year, but really hard stuff that's usually accompanied by crashing thunder and dazzling lightning. Whew! Note to self: next time, no how matter how short of a planned run, if it looks at all like there might be rain, bring a ziplock bag to protect smartphone, just in case. The premise of BBC America's "Orphan Black" is something I couldn't resist: clones and conspiracies. Tatiana Maslany stars as Sarah, a scammer and once single mom who had to give up her daughter; and as Beth, a police detective who commits suicide in the first 2 minutes of the series; and as Cosima, a bio grad student; and as Alison, a soccer mom; and as Helena, a psychopath; and ... well, the list goes on and on. Maslany is pretty incredible in all of these roles, because it's easy to get drawn in by her performances and forget that it's the same actress portraying these various characters. Different hairstyles and make-up help her keep track of who she's playing, and so too does keeping a different playlist of music for each clone. In addition to the acting tour de force, the technical production side has been eyepopping. One actor playing twins who share a scene? That's been done lots of times. Having one actress playing three characters who physically interact with one another (handing coffee mugs, etc.)? That's a "how the heck did they manage to film that???" moment. And yet, the storyline has been getting slower and slower, and I find myself paying less and less attention to the plot midway through season 2. In an odd way, this makes "Orphan Black" a reverse-show for me: the acting is of a far better caliber than the plotline. With "goodbye to cable" day coming up later this week, "Orphan Black" is one of the few things I watch regularly that can't be found via over-the-air HD signal or Hulu+, so I'll have to wait for it to hit Amazon Prime to finish out season 2. Sad to say, but I won't have a hard time waiting. Oregonian profile of Jacqueline Toboni (aka Trubel) of NBC's "Grimm"
In a whirlwind few days, Toboni taped herself auditioning for the "Grimm" role on a Saturday, got the call the "Grimm" producers wanted to see her on Sunday morning, and flew out to Los Angeles. It also shows how much of a role luck plays in casting; the co-creator/producer happened to be in Ann Arbor speaking to an acting class because he was visiting his daughter. So far, I think Toboni has done a really good job at portraying Trubel as a prickly, guarded, Grimm apprentice. I still suspect NBC is weighing a "Grimm: Trubel" spin-off. 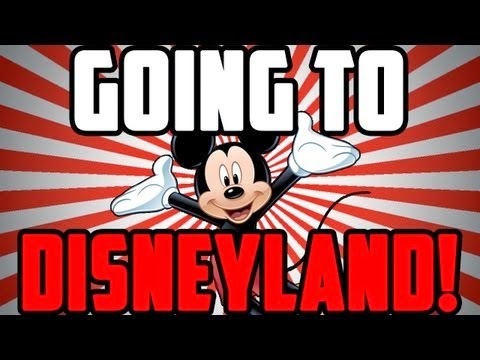 Can't go to Disneyland? Go for a run instead! Final grades for graduating law students were due today, and while I wouldn't get fired or anything if I missed the deadline, I'm one of those dutiful rule followers. Of course, to prepare myself for the last day of grading, I did an 8-mile speed session (9 x 1/2 mile reps @ 6:30 pace) this morning. Then I worked my way steadily through the last two exam questions in my upper division course, compiled overall exam results on my spreadsheet, set the curve, and emailed the grade sheet for both spring courses (I had finished the other course earlier) and all independent study papers to the Registrar's Office. But alas, I haven't lived in Southern California in a l-o-n-g time. So I did the next best thing, which is, I went for an easy recovery run in the sunshine. I suppose that might seem a bit excessive, given the morning speed session, but I just love running. 26 minutes, three miles . . . yeah, that's the ticket. 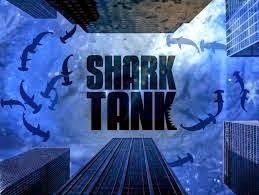 TV Guide has an article with six secrets about ABC's "Shark Tank," including "what they're looking for" and "best Shark." Spoiler: the producers who were interviewed don't really answer the best Shark question. Personally, I'm most entertained by Kevin O'Leary aka Mr. Wonderful, and I suppose you could make a drinking game where you have to imbibe each time he offers a royalty-based deal as opposed to an equity-based one. That's getting to be a trope on par with David Caruso's taking off his sunglasses in CSI: Miami. Thoughts on the season 3 finale of CBS's "Person of Interest"
CBS's "Person of Interest" is very much a post-post-9/11 show. The initial wave of post-9/11 shows, like "24," "Alias," and others, were/are about wish-fulfillment: there are very real threats out there, but they can be stopped. "Person of Interest" does deal with threats as well, though most of them are on a smaller, more personal scale; however, it's a post-post-9/11 show because it's also broadly about the surveillance state, as this N.Y. Times article discusses. At first, the show was about Harold Finch, the reclusive genius who created a Machine that could predict future acts of terrorism and crime, and John Reese, the former CIA operative dragged out of the wallowing pit of misery by Finch to act on the Machine's predictions. In a way, Finch was like Chloe O'Brian on "24" (i.e., the source of all information) and Reese was like Jack Bauer (the doer). Gradually, the team expanded to include a once-corrupt cop who slowly reforms; a former Army interrogator turned NYPD detective; Shaw, a shadowy female government assassin (played expertly by Sarah Shahi); and a sociopathic female hacker known as Root. 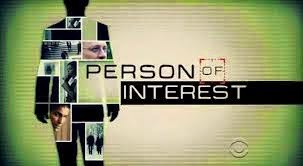 The show also moved away from its structure of a crime-of-the-week augmented by flashbacks to Reese's CIA past, toward more of a conspiracy-driven serialized arc, first with a secret organization within NYPD known as "HR"; and later, a nasty blend of corporate and government interests intent on building their own Machine. 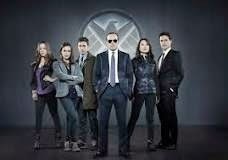 Thoughts on the season 1 finale of ABC's "Marvel's Agents of SHIELD"
ABC's "Marvel's Agents of SHIELD" had its season finale last night, and I took a needed break from grading final exams to watch it. What did I think? Today was supposed to be a speed session but I didn't feel like running repetitions, so I changed things up and did a threshold run instead. A true threshold run should last about 20 minutes, according to running coach Jack Daniels, but I ended up splitting mine into two ~10 minute segments, separated by an easy mile at an 8:35 pace. Per the Daniels/Run SMART pace calculator, my threshold pace based on my most recent 5K race is 7:11. Now, I didn't actually look this up before running; I just went to the gym and picked what seemed like the right pace. (Yes, it was a gorgeous day today, but I haven't watched "Justified" in a while....) And that was 7:13 for the first threshold, and 7:08 for the second one - and those average to 7:11! What I've noticed is that I feel like I've accomplished more in a speed session when I jog the recovery intervals instead of walking them. 8:35 is somewhere around my long run pace (sometimes I'm slower if it's especially hilly), so it's an easy pace, but I wouldn't have thought of it as a pace that I could manage while recovering from 10 minutes of a threshold pace, yet it was. Cool deal! Anyway, this ended up being not that different from repetitions, only it was two 1.5 mile reps, but it didn't seem that way when I was running it because I was thinking to myself "threshold run," not "repetitions." So perhaps it's true that variety is the spice of running. 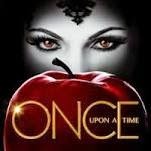 Wow, my favorite current TV show, ABC's "Once Upon a Time," had a two-hour season finale last night. Let's get to talking about it!